Jikkyou Powerful Pro Yakyuu 2018 opens at 183,266 sales. Jikkyou Powerful Pro Yakyuu 2018, the latest iteration in Konami’s chibi baseball franchise, debuted at 124,831 sales on PlayStation 4 and 58,435 sales on PS Vita for an opening week of 183,266 units sold, the latest Media Create sales numbers reveal. Also new this week, the Switch ports of SD Gundam: G Generation Genesis and Naruto Shippuden: Ultimate Ninja Storm Trilogy opened at 11,975 units and 6,682 units sold, respectively. 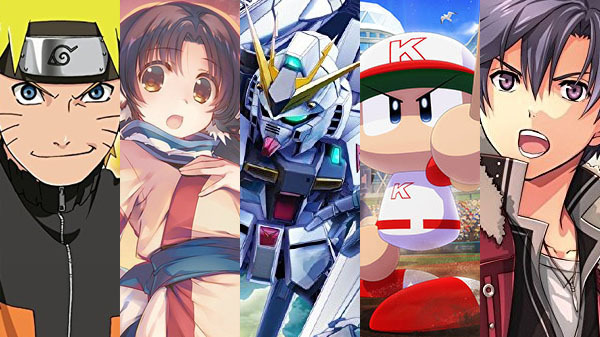 Continuing the new releases, The Legend of Heroes: Trails of Cold Steel II: Kai -The Erebonian Civil War- opened at 11,345 sales on PlayStation 4, and Utawarerumono: Chiriyuku Mono he no Komoriuta opened at 14,426 sales on PlayStation 4 and 8,591 sales on PS Vita for a total of 23,017 opening sales. On the hardware side, Switch sold 38,752 units, the PlayStation 4 family sold 35,009 units, and the 3DS family sold 7,733 units.